If you’ve already grabbed the WinZip app for Android then you’ll hopefully have noticed a cheeky little addition lately. If not, grab it now and you’ll now find that the app lets you encrypt, squish and share files directly to Dropbox. It basically means that you have one central app to zip down your files and instantly back them up to your own private Dropbox account or, if you want to share them directly from your phone without the inbox “weight”, you can fire them off to a shared link hosted on Dropbox and send that instead. Nifty huh? Grab the app for free and you can also create Zip and Zipx files, send archive files to contacts via email, receive and handle zip files plus you can manage and encrypt zip files from the app. 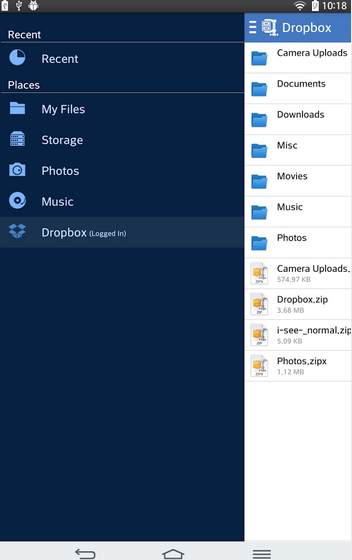 MANSFIELD, CONNECTICUT–(Marketwired – December 10, 2014) — WinZip has released an update to its WinZip® for Android app that now offers Dropbox support to make it easier than ever to manage, zip, protect and send files. With the full version of WinZip, take advantage of powerful features that let you combine banking-level security with the convenience of Dropbox cloud storage. The new WinZip for Android is available now on Google Play: http://bit.ly/WinZipGooglePlay. WinZip for Android is available free and offers optional in-app purchases to unlock additional file compression and encryption features including new Dropbox support. Upgrade to the full WinZip to protect your photos, videos and files on Dropbox like never before with instant file compression and encryption. And because WinZip is available on all major platforms, including Windows, Mac, iOS, Android and Blackberry, it’s easy to access your files any time, from any device. 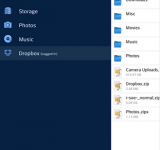 Maximize your free Dropbox storage space by compressing files and folders. Connect directly to Dropbox to zip, unzip, organize and manage your files. With the free WinZip for Android, easily create and email Zip files. Open and save compressed files, whether they’re attached to an incoming email, downloaded from a web page or opened from an SD memory card. Take advantage of a streamlined UI that makes it easier than ever to view, navigate and manage files on your device. When downloading new apps, WinZip makes it simple to unzip and install apps delivered as .zip files from Android app stores. WinZip for Android is available free from Google Play, Amazon Android Store and the Samsung App Store. Additional file compression, encryption support and enhanced sharing features including direct access to Dropbox are available as optional in-app purchases. Download it from Google Play: http://bit.ly/WinZipGooglePlay. A Texting Aid for Drivers - What is this madness?